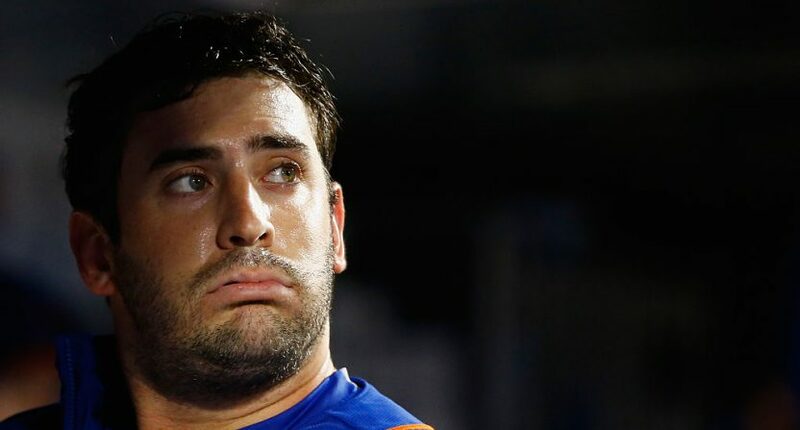 Did Matt Harvey miss the Mets game due to being sad about Adriana Lima going out with Julian Edelman? I know, this whole thing is so ridiculous. Well the Matt Harvey story just keep getting weirder. It was reported on Tuesday that Harvey was out drinking until 4 AM before being absent from Saturday’s Mets game, and now New York Post’s Page Six has dropped one hell of a *rumor* suggesting why Harvey was out all night on Friday. Page Six claims that Harvey was “an emotional wreck” after seeing photos of supermodel Adriana Lima with New England Patriots wide receiver Julian Edelman at Rihanna’s Met Gala after-party, while Harvey was with the Mets in Atlanta. So, Harvey apparently thought that his relationship with Lima was more than it was, and he then saw photos of her at this event with her ex-boyfriend in Edelman. Additionally, Page Six says that Lima unfollowed Harvey on Instagram after the event. You could see how all of this could leave the Mets’ right-hander pretty bummed out. The “Dark Knight” became an emotional wreck on May 2, after paparazzi photos came out showing Adriana Lima stepping from a limo and heading into Rihanna’s Met Gala after-party with her former boyfriend, NFL star Julian Edelman. Both the Victoria’s Secret stunner and the Patriots wide receiver — with whom she had broken up several months earlier — wore grins on their faces like they were having the time of their lives. Inside the party, Lima and Edelman were “flirty,” Post sources said. And, to add insult to injury, Lima unfollowed Harvey on Instagram after the event. Apparently, Harvey was unaware that Lima was just not as into their relationship as he was. The feeling among other players on the Mets was that Harvey was out Friday night blowing off steam and trying to get over Lima, baseball sources told The Post. If he managed to relax at all is unknown, because Lima called him while he was playing golf before the Mets game Saturday and had a conversation that made him even more upset, sources said. Yes, this is all a bunch of crazy high-school level gossip, and who knows what to believe. And even if it’s true that Harvey was upset about all of this, it may not be why he was out until partying until 4 AM, or why he was a no-show for the Mets on Saturday. It sure seems like it could at least be a contributing factor, but again, who knows. Either way, this all sure is interesting, and it doesn’t appear the drama involving the Mets and Harvey is going away anytime soon. That is unless they trade him, of course, and Yahoo’s Tim Brown asked some MLB general managers, scouts, and talent evaluators to offer their opinion on where Harvey’s trade value stands right now.